Kim Jong Suk (1917-1949), who is held in high esteem by the Korean people, devoted her whole life to the rising generations. Having embarked on the road of anti-Japanese revolutionary struggle for Korea’s liberation already in her early years, Kim Jong Suk directed the work of the Children’s Corps (CC), the organization of Korean children formed by President Kim Il Song (1912-1994), for some years. She was more of a dear sister of the CC members than their educator. She took meticulous care of the children lest they should feel cold or hungry, and put all her efforts to bringing them up to be fine workers for the future Korea. Even after she joined the Korean People’s Revolutionary Army led by Commander Kim Il Sung. She always paid deep attention to the life of the CC member and led their growth step by step. Her affection for the rising generations knew no bounds. This happened when she was carrying out underground activities in a village, called Taoquanli, under the instruction of Kim Il Sung. One day she heard that a landlord in the village banished his girl servant, who was suffering from typhoid fever, to a hut in a mountain. She went to the hut without hesitation, and found the girl unconscious due to a high fever and dying in a lonely hut. She attended to the girl with utmost care while living with her in the hut. Later some members of the underground organization ran to the hut, urging her to leave the hut immediately. But Kim Jong Suk comforted them, saying in the following vein: “If we are afraid tosave a child at the risk of our lives, how can we restore the country and rescue our fellow countrymen? I’m not afraid, for I’m determined to sacrifice my life for the sake of the people.” Rescuing the girl from the jaws of death meant to her more than a mere life-saving, because she regarded it as rescuing he future of Korea writhing in agony under the military occupation of the Japanese imperialists. Thanks to her tender nursing the girl was fully recovered. After Korea’s liberation (August 15, 1945) she continued to pay deep attention to bringing up children and educating them. Owing to the colonial policy of keeping the Korean nation in ignorance the Japanese imperialists had pursued during their occupation of Korea for 40 years, there were no proper child-care facilities or educational institutions in the country. Regarding the issue of setting up nurseries and kindergartens and bringing up children at state and social expense as an important one, Kim Jong Suk went over on the spot the design for a nursery to be built and named it March Eighth Nursery, and paid attention to every piece of its furniture and fittings. 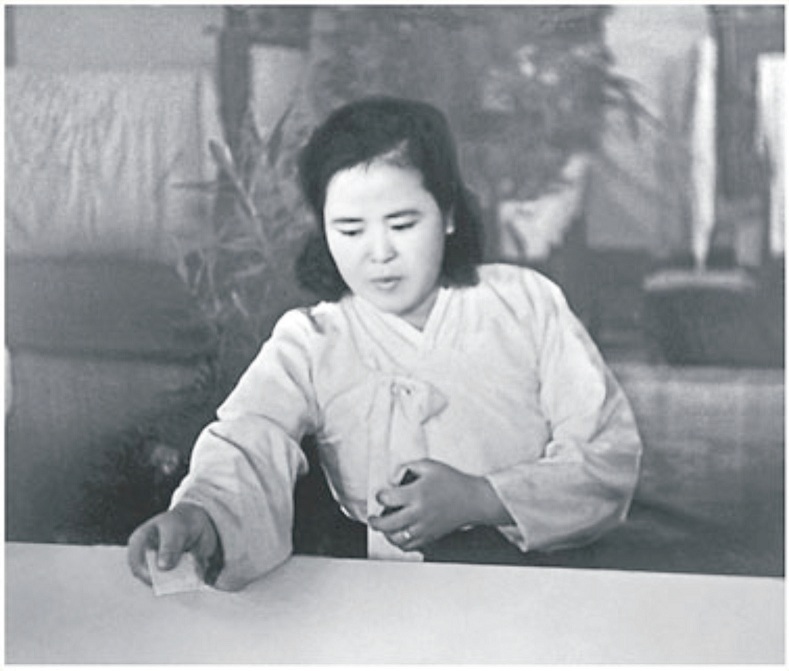 She showed concern for the building of the Mangyongdae Revolutionary School for the bereaved children of the patriots and revolutionaries who had dedicated their lives for the country’s liberation. She devoted herself to the schoolchildren, regarding it as her obligation to her fallen comrades-in-arms to take good care of their bereaved children and bring them up as full-fledged members of the future. She was deeply concerned with such problems as locating the children of the revolutionary martyrs scattered everywhere and designing and producing the school uniform. Frequently visiting the school and sometimes inviting the children to her house, she took warm care of the schoolchildren in their study and life. Fully aware of the feeling of the schoolchildren who had been bereft of their parents by Japanese imperialists and who were following Kim Il Sung as their father, she proposed that a statue of Kim Il Sung should be erected in the Mangyongdae Revolutionary School. She paid close attention to the work of Kim Il Sung University, the first of its kind in Korea. She expressed her firm conviction in the future of the country, which, though just freed from the colonial yoke, would develop into a powerful state by the efforts of able personnel produced at the first people’s university to be built. To this end, she successfully led the construction and inauguration of the university, and even took meticulous care about the uniform, stationery and shoes of the students and living conditions of the teachers. Whenever she met the university students, she said that they should study hard with a determination to faithfully serve the country and fellow people, and take active part in socio-political activities, thus becoming well-qualified talents. The fact that she carried loads of bricks at the construction site of Kim Chaek University of Technology well testifies to the great importance she attached to the education of rising generations, picturing a bright future of prosperous Korea. Thanks to her devotion Korea could lay down solid foundations for education in a short span of time after its liberation. The foundations have played a big role in the further development of education in Korea. Now the universal 11-year free compulsory education, the highest standard of education in the world, is in force in this country. Everywhere there are children, it is easy to find nurseries and kindergartens. It is commonplace in this country that a school runs for one or two students in a remote mountain village or on a far-flung lighthouse islet. Extracurricular educational centres, like schoolchildren’s palaces, halls and sports schools found all across the country help the children bring into full bloom their hopes and talents. University and college students study while receiving scholarships from the state. All these have produced due fruits: artificial earth satellites were successfully launched in 1998 and 2009 respectively; the cutting-edge CNC technology developed by the efforts of Koreans render the overall national economy to push back the frontiers, and miraculous achievements are being made in the building of a great, prosperous and powerful nation. The future Kim Jong Suk wished is being materialized.